Disruptive Leadership is for anyone who needs to step up and lead. Marketers, coaches, experts, consultants, managers, business owners and presenters are all lining up to become part of the disruptive leadership movement. Using Sharon’s unique system they are achieving results unlike anywhere else in the market. The program is given six modules, covering brilliant culture, benchmarks, models of excellence, self-leadership and the do’s and don’ts of leading your team. We get straight into it learning the models and frameworks to which all great leadership is built. Meet Sharon Pearson with instant access to recorded trainings and portable audio content. Great companies are built on outstanding culture. Learn how teams develop a hunger for great results and create the environment they need for high performance. Structure gives your team the support it needs to do incredible things. Imagine working in a place where all of day to day is taken care of and your only responsibility is innovations and improvements. Modelling the success of others is a great place to start in any leadership journey. 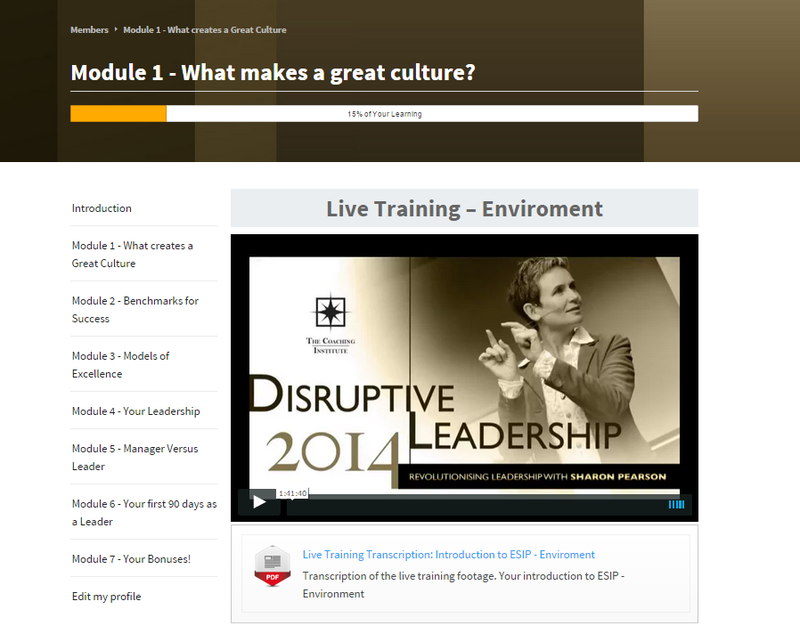 This module looks at the achievements of some of this industries greatest success stories. Take a look into your own strengths and stretches. Personal leadership is about doing more for others allowing them to go on and inspire the extraordinary. Some people manage. Others Lead. Sharon Pearson is a leader. Learn the difference and choose to become an outstanding leader. This is a guide for developing your team into leadership. The first 90 days is crucial for their success. Get them off to the best start and guide them to greatness. How do we ensure you have the best possible experience in this program? We appreciate that people learn differently, so we’ve provided the content in different formats. All the manuals come with audios to support them, so you can download and listen to them when you choose.